Freeing up $200/month in expenses is equal to receiving a $285/month raise! When you free up any money at all in your monthly spending plan, it becomes immediately available for other uses. It can be used to pay down debt, to build your emergency savings balance, or to give to a worthy cause. The wonderful thing is this – If you free up $200, you really have $200 to do something else with! On the other hand, if you received a $200 raise, you really will not have $200 to do something else with. Not making sense? Let me put it this way. It appears that everyone has this one uncle. We like this uncle in many ways, but we really do not like to him to come around very often. He routinely borrows money without our approval, spends money carelessly, finances everything, and he looks to us to foot the bills when it is all over. Yes, his name is Uncle Sam. Uncle Sam immediately shows up when he hears that you have gotten a $200/month raise. He wants his share. He charges you Federal Income Tax, Social Security Tax (FICA), Medicare Tax, State Income Tax, and Local Income Tax. By the time you get home with your $200 raise, it has been remarkably reduced by between 20% and 40%! That means that your $200/month raise will only deliver around $140 and $160 to you. That is what makes budgeting so great! When you find a way to spend less money, it is like giving yourself a raise! A big raise! A tax-free raise!!! 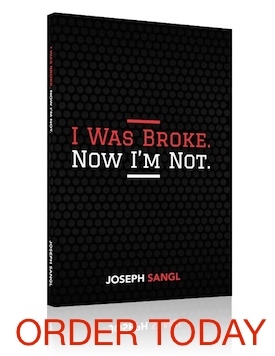 This will speed your ability to achieve freedom from debt and truly build wealth. NOTE: Jenn and I were able to immediately give ourselves a $200/month raise by spending less money on groceries. How have you been able to give yourself a raise?